Thermic sense refined though exercises of pairing and grading. The bottles are chrome-plated copper for conductivity. SKU: 0.018.00. Categories: Nienhuis, Sensorial. Thermic sense is refined through exercises of pairing and grading. The bottles are chrome-plated copper for conductivity, and are identical in appearance to prevent visual matching. 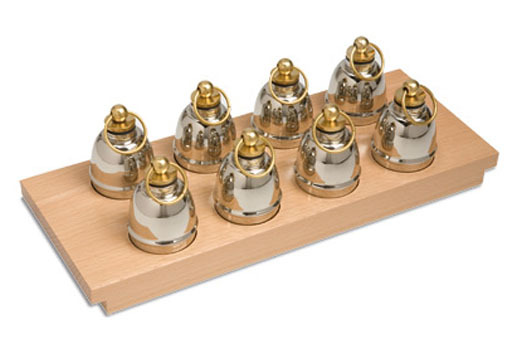 The set includes a wooden tray that holds 8 metal bottles with screw-on tops.